Many congratulations to 1st Carnforth Group on achieving the long time goal of replacing their Group headquarters building – now known as ‘Base Camp’. Photograph shows the youngest and oldest youth member of 1st Carnforth Scout Group assisting Cat Smith M.P. open the excellent new facility today 17 November 2018. 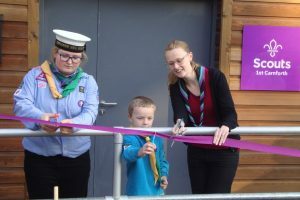 “Congratulations to everyone involved at Carnforth Scout Group on the opening of their base camp today. 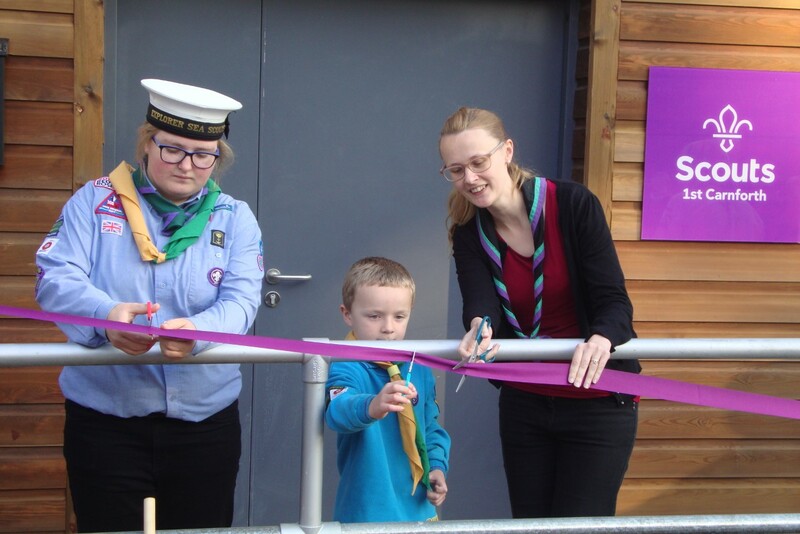 Through hard work and determination, and through putting themselves at the heart of the community they have made their dream a reality and have provided Scouting with a home in Carnforth to support more and more young people for generations to come. It was my pleasure to present the group with the Commissioner’s Commendation, a very well deserved accolade. You made something that seemed impossible, possible.